"... When working he is focused and determined, he perfects the accentuation, tightens the pace, emphasizes orchestral differentiation and sophistication. ..." reported the Bavarian broadcasting station BR-Klassik, while accompanying Mateusz Molęda's rehearsals with the Nuremberg Symphony Orchestra on a concert tour to Poland. In season 2017 / 2018 he continues his successful collaboration with the orchestra in five concerts in various German cities and at the Meistersingerhalle in Nuremberg. Season 2018 / 2019 marks among others Mateusz’s debut in Denmark, conducting the Aalborg Symphony Orchestra and the Aarhus Symphony Orchestra in a program of works by Debussy and Hindemith and also the world premiere of the Concerto for Hammond Organ by Anders Koppel. Further invitations lead him with Messiaen's L'Ascension and Bruckner's Symphony No. 9 to the Odense Symphony Orchestra as well as to Germany, Poland, Albania and South Korea. 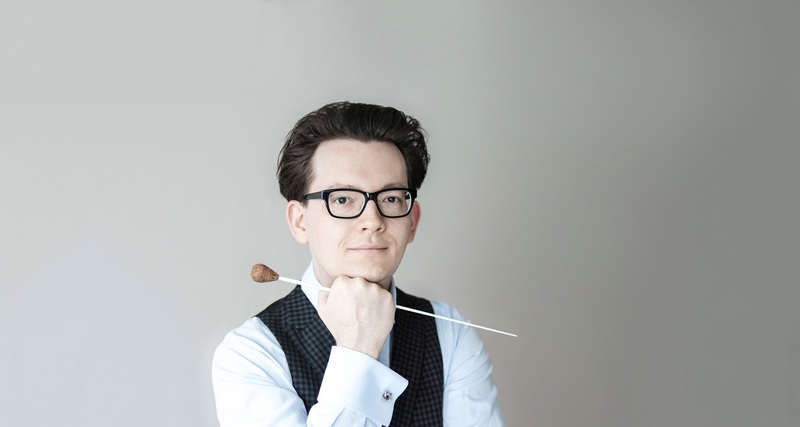 Engagements as guest conductor have taken Mateusz to numerous countries around the world over the past years, including Germany, Italy, Spain, Poland, South Korea and South Africa. He has worked among others with the Deutsches Kammerorchester Berlin, the Berlin Symphony Orchestra, the Nuremberg Symphony, the Jena Philharmonic, the Heidelberg Philharmonic, the Staatskapelle Schwerin, the Folkwang Kammerorchester Essen, the Warsaw Symphony and the NFM Wroclaw Philharmonic. Mateusz is a passionate traveler and has so far visited more than 60 countries around the globe. He is fluent in German, Polish, English, French and Russian.